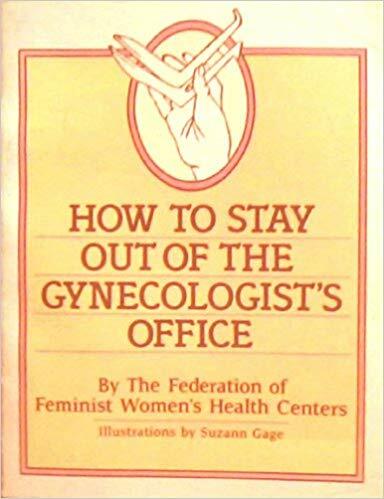 Written by The Federation of Feminist Women’s Health Centers, How To Stay Out Of The Gynegologist’s Office is a guide to understanding the wide range of normal and common conditions, along with self-help remedies for things like yeast overgrowth which often follows treatment of antibiotics. 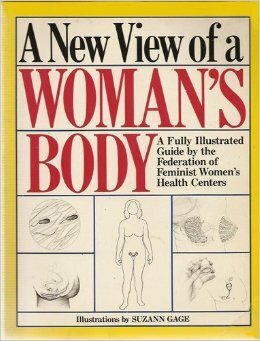 In the most comprehensive book on birth control since the 1970s, women’s health activist Laura Eldridge discusses the history, scientific advances, and practical uses of everything from condoms to the male pill to Plan B. 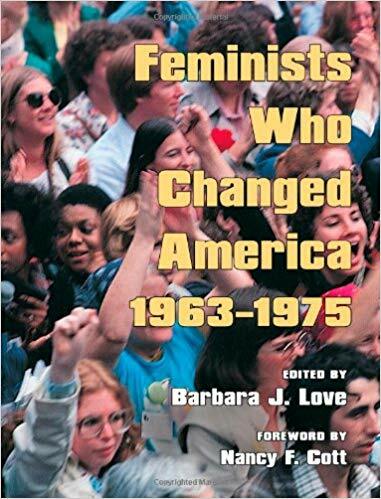 We discovered in the ‘70s that the personal is political. 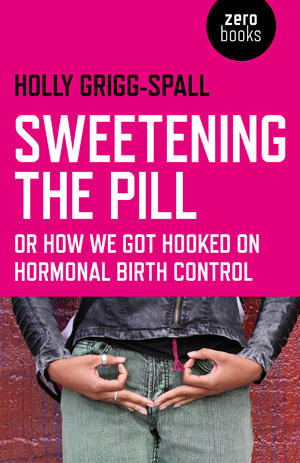 Holly Grigg-Spall starts with her and other women’s personal experiences with the Pill, then thoughtfully and thoroughly considers it scientifically, medically and philosophically to discover the political truth of the Pill. 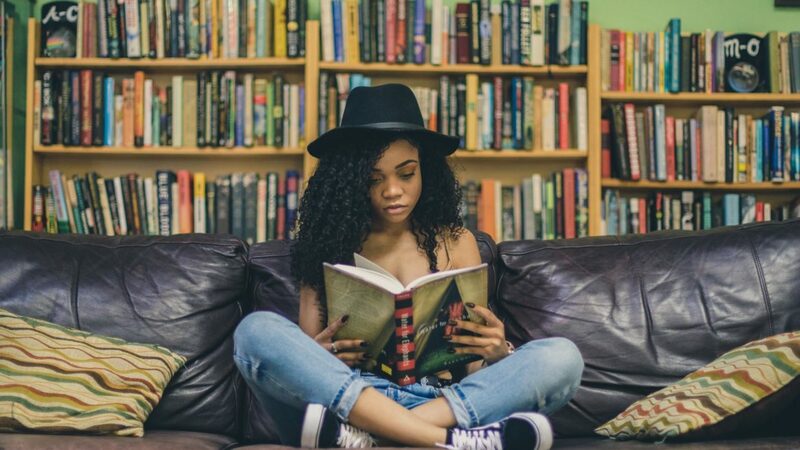 She shares strategies for finding new ways to control our fertility while regaining control of our destiny. 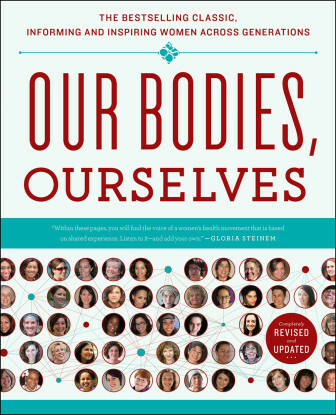 Grigg-Spall’s careful study on the Pill’s effect on women’s health is long, long overdue. 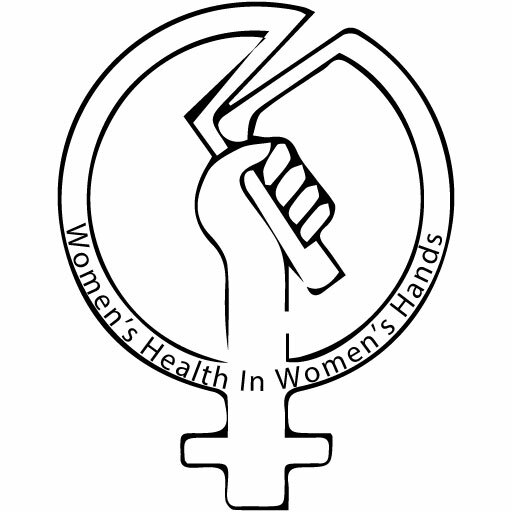 We are so busy fighting to keep hormonal birth control available that we don’t want to question what it is doing to our health and our lives. 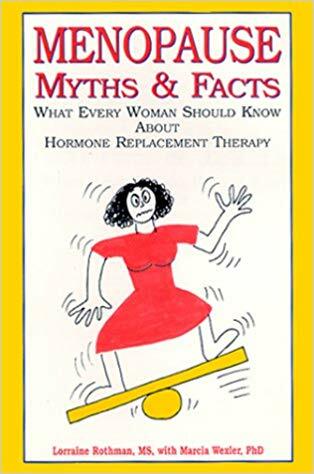 After reading this book, we can never see the Pill in the same way again. 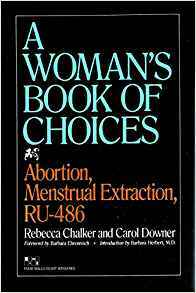 A Woman’s Book of Choices chronicles the history of ME, the currently accepted standard of ME practice, and its legal ramifications, and offers accounts of actual ME procedures. 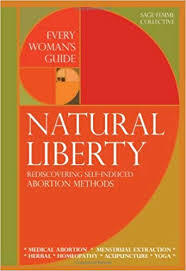 It also describes the who range of other abortion alternatives, from state-of-the-art clinical abortions to folk remedies, for women who may be considering terminating a pregnancy. 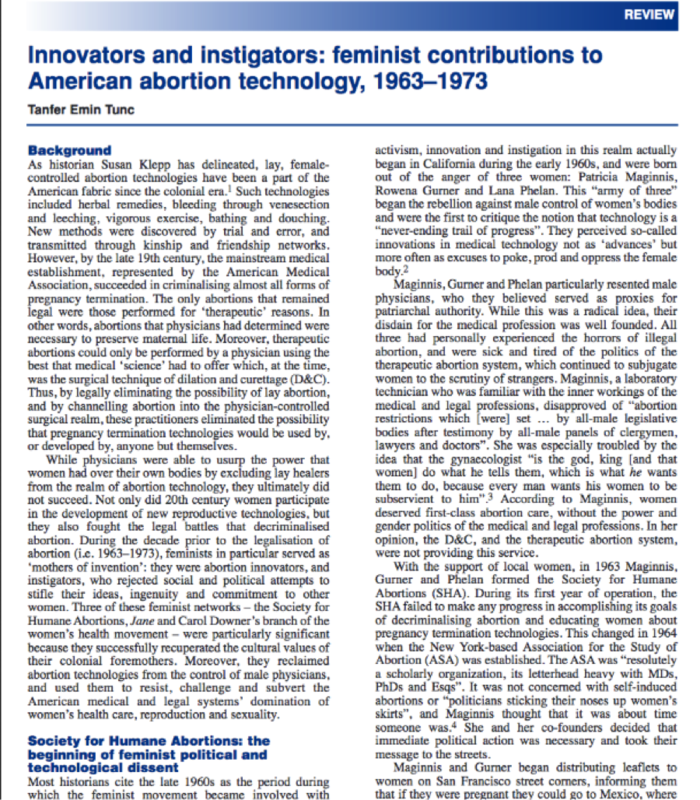 In addition, there is a comprehensive chapter that is directed to medical personnel who may be providing abortion care, and a chapter on the French-developed abortion pill, RU-486. 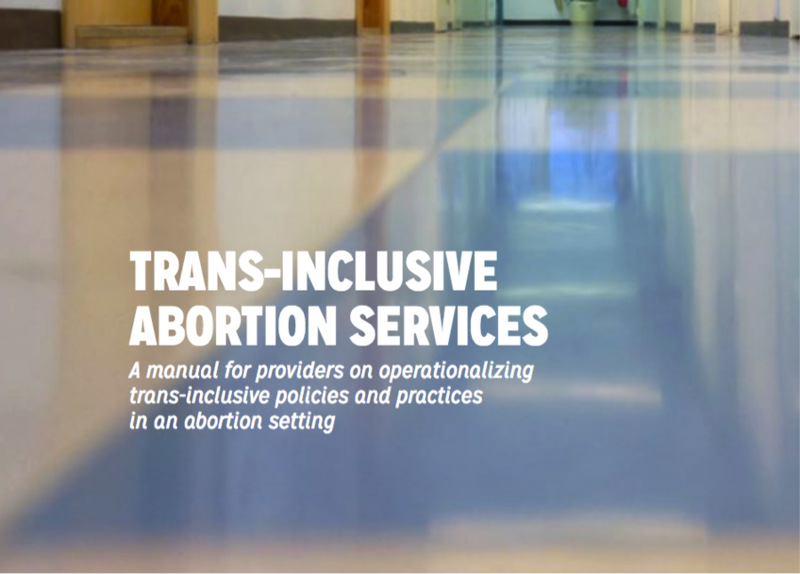 Trans-Inclusive Abortion Services: A manual for providers on operationalizing trans-inclusive policies and practices in an abortion setting. 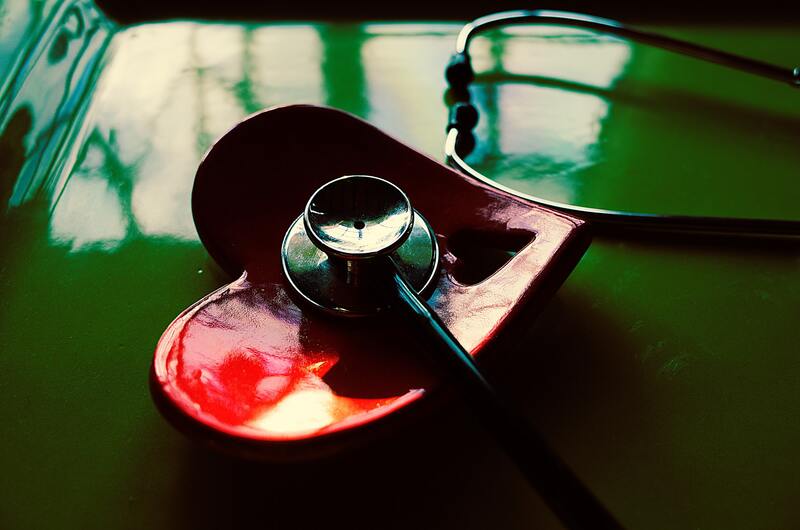 This manual was produced for the Fédération du Québec pour le planning des naissances (FQPN), as part of their commitment to expanding discussions of sexual and reproductive health to include trans people and their families.